asian games | Make Time For Sports. PR Sreejesh does a ‘Psy’ act under the bar. Indian hockey goalkeeper and member of the victorious Asian Games squad, PR Sreejesh, is happy with his ‘dance moves‘ during the penalty shootout against Pakistan in the final. The goalie foiled two out of four attempts by their sub-continental arch-rivals. Sreejesh is a huge fan of the Korean pop star Psy specifically his hit number ‘Gangnam Style‘. The Korean singer-dancer performed at the opening ceremony of the Incheon Games. “We didn’t play well against them in the group stage. So we reflected on our performance in that match and felt that we really need to improve. We didn’t want negativity to creep into our minds and thought positively. The team spirit was excellent. We knew the final would be a tough one and fought as a unit. And that paid dividends. “I can still improve. My goalkeeping has improved considerably when I had short stints with two goalkeeping coaches in the past, Martin Drijver and Dave Staniforth. Thai princess,Sirivannavari Nariratana, is convinced that she is not favored by her fellow athletes at the Incheon Asian Games. The royal debuted in the dressage competition on Saturday, the 20th of September, 2014. Her horse: Prince Charming. Nariratana is the grand-daughter to Thailand’s regent and was once listed among Forbes’ Top 20 hottest aristocrats. She was also a participant in badminton at the 2006 Games. “This is just me jockeying for PR. What do you think? Why don’t you join me under my umbrella? Somdev Devvarman continues to delight his many fans. His expressed desire to coach budding ,upcoming players from his home state has the Tripura government agog. "As he belongs to Tripura, he would be very happy if he gets the scope to teach budding and young players from the northeastern states, where there is no dearth of talented and skilled players," Somdev’s father Pravanjan Kishore Devvarman said. Somdev will be given a hero’s welcome when he returns home on December 26. He is currently in Texas training with Andy Roddick. Somdev Devvarman carries the hopes of a billion on his lean, sinewy frame. Leander Paes and Mahesh Bhupathi are aging warriors. They will soon be gone. But Somdev is undaunted at the prospect of stepping into the boots of these stalwarts. He has etched his mark in the Davis Cup. The Guangzhou Asian Games saw him pick up a rich haul of three medals, two gold in singles and men’s doubles and a bronze in the team event. His singles gold at the CWG pales in comparison. The clinical manner in which the Indian demolished Uzbekistan’s Denis Istomin 6-1, 6-2 augurs well for India’s Davis Cup aspirations. Sania Mirza’s comeback to the WTA tour may not have quite taken off on the singles circuit but she’s certainly holding her end up in doubles. Sania failed to secure a second doubles title this season . She and her partner Hsieh Su-wei lost 2-6 4-6 to third seeds Chang Kai-Chen and Chuang Chia-Jung in the summit clash of the ITF $ 1,00,000 tournament in Taipei. Sania also missed out on the gold medal at the CommonWealth Games in New Delhi in the singles draw — battling all the way. 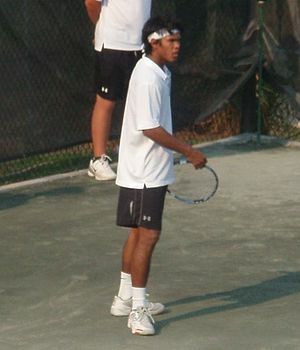 Somdev Devvarman will be representing India at the Guangzhou Asian Games from November 12 to 27,2010. Somdev was top seeded at the recently concluded CommonWealth Games and was one of the few elite Indian athletes who fulfilled expectations by clinching gold. Roger Federer is enjoying a good run following his failed bid at a 17th Slam at the US Open. Two tournament victories in quick succession and a red-hot Federer jets into Paris seeking his 18th Masters hoping to equal Rafael Nadal’s record. "I’m a bit worn-out, I’ve had a lot of matches, I’m hoping my mind and body hold up. But I don’t play until Wednesday and there will be time to recover. I’m confident that my form will carry me through." said the champion. Nadal, his nemesis, has pulled out citing shoulder tendinitis. But he hopes to be ready for the season-ending World Tour Final in London. Nadal had a fantastic 2010 reeling off three Grand Slams in quick succession to bring his haul to nine. This includes a Career Slam. The World Tour Finals will be eagerly awaited; the only possibility of the two great champions facing off once more this year comes at this premier event. The inability or unwillingness of the BCCI to field an Indian cricket team for the Chinese Asian Games has been greeted with widespread consternation by the Indian public or so the media channels would have us believe. I , for one, am not of the view that India needs to field their best team for the Asian Games and thus the BCCI could have been somewhat more diplomatic and said yes to fielding a second string team like they have for the tri-series in Zimbabwe. 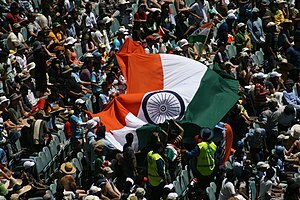 Besides apart from Pakistan, Sri Lanka and Bangladesh, no other teams of cricketing note will be there! And surely, the Indian cricket team cannot do worse than their performance at the World T20!